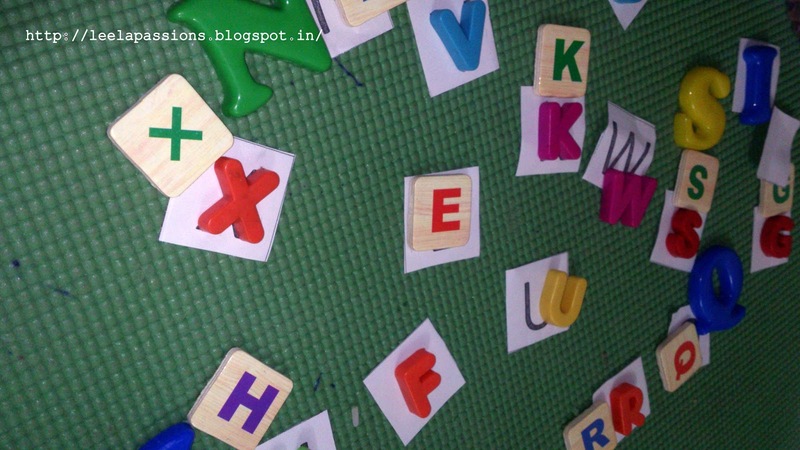 Medha is able to recognize all the letters before she turns 2 year old. But I wanted to increase her confidence in identifying each letter hence I thought of this activity. We, I and Medha, have been having fun playing letter matching game last week. I printed out the letters of alphabets A-Z as small square tiles and we played some matching games with these alphabet prints and magnetic alphabets. They've kept Medha happily occupied for hours. 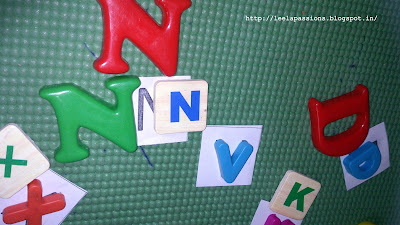 I have downloaded the alphabet tiles as a PDF from OnePerfectDay blog. I began by cutting the letters into individual squares. 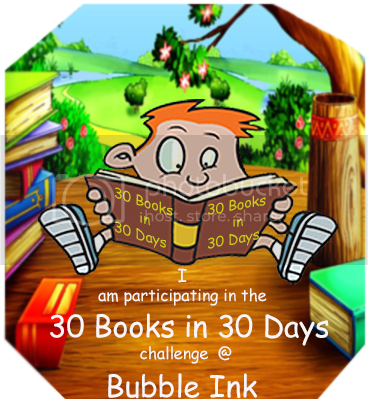 I then kept these into a zip lock bag and handed over to Medha. 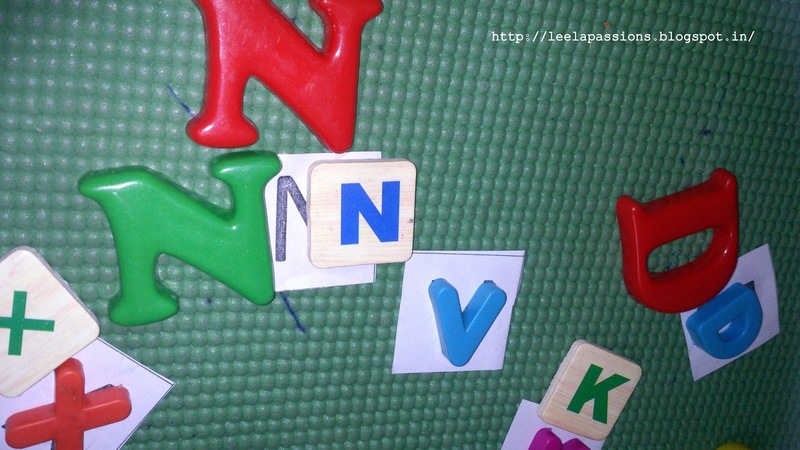 We began with simple alphabet hunt. Medha pulled one letter from the printable square tiles and would have to find all the same magnetic letters from her box. 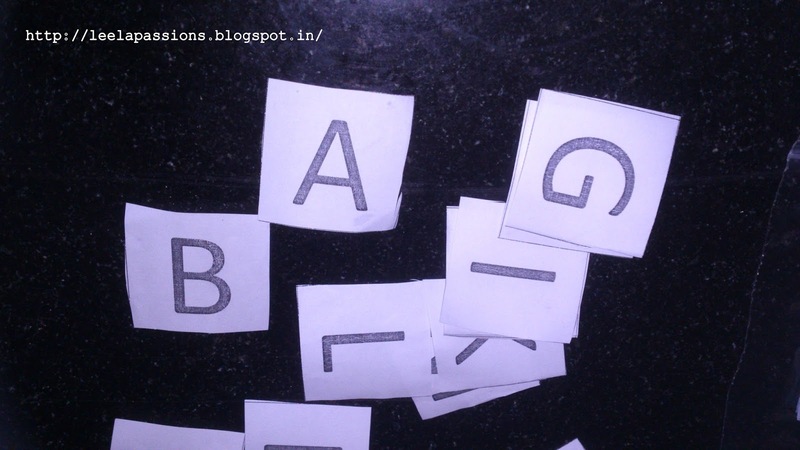 Medha liked the concept of game and started doing it for all the 26 letters from the zip lock bag. 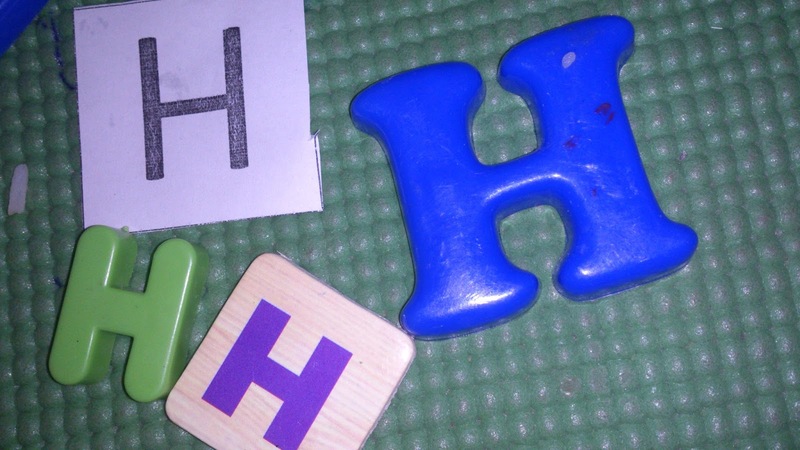 We can also try the same game to find an item that began with that letter if you have so many toys or at least one toy that starts with each letter. 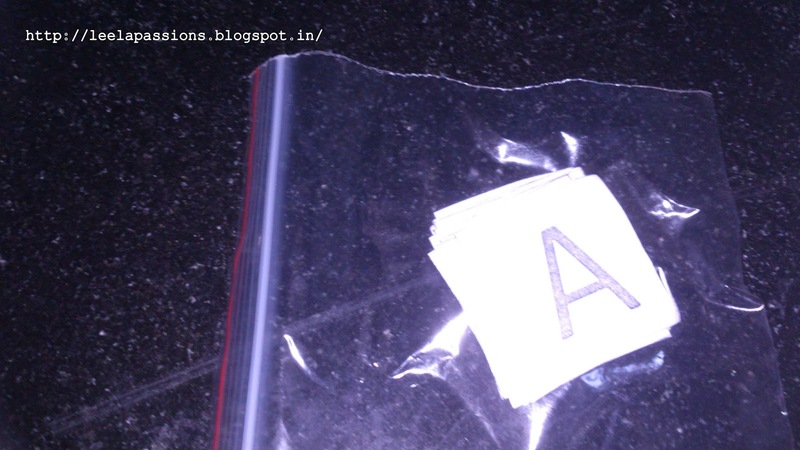 I haven't tried that with Medha as she isn't perfect in telling A for and B for's. We can also try the same by printing number tiles and can by combining letters and numbers game by selecting one number square and one letter square. So the child need to find 'number tile' quantity of the items that began with 'alphabet tile'. I am also planning to combine color squares too as mentioned in the origin blog.